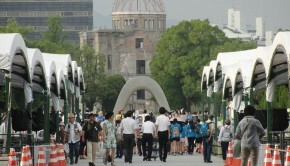 Every year, people from all over the world commemorate the 1945 Hiroshima and Nagasaki bombings, saying “never again”. Even President Barack Obama made a visit to Hiroshima to honour the survivors – the first visit by a sitting US president. On October 6, a first generation Nagasaki survivor will share her story in Pakhuis de Zwijger, Amsterdam, and explain how the atomic bombing still affects her daily life. Together with several experts she will discuss today’s status of the nuclear disarmament debate. What is the international community doing? And why is 2017 an important year for nuclear disarmament? Hibakusha, which translates literally as “bomb-affected-people”, is the Japanese word for the surviving victims of the 1945 atomic bombings of Hiroshima and Nagasaki. 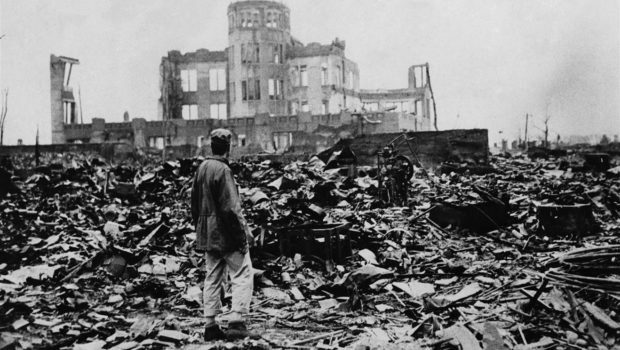 Nagasaki survivor Toyoko Tagawa experienced a-bomb at age 6. She will share her testimony of the atomic bombings and the appeal of the Hibakusha for nuclear weapons abolition. Together with nuclear disarmament experts, the Hibakusha will speak about the ongoing impact of nuclear weapons today, and the efforts towards a nuclear weapons ban.